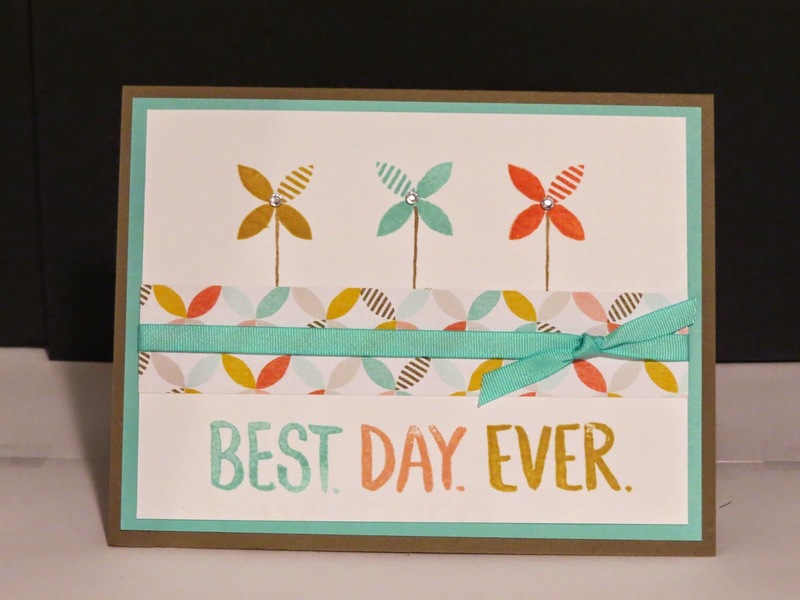 This card uses the Best Day Ever Stamp set, the Best Year Ever Designer Series Paper and the Best Year Ever Accessory Pack. All of these items are free with a $60.00 order. If you're free on Jan 25th, come to my 16 card birthday Bash extravaganza and get your cards free with a $60.00 order plus one free sale-a-bration item.